Posts with tag: "central Wisconsin"
As I pondered what words to use to describe Emily & Andrew's wedding, one single word kept recurring: Romantic. Their wedding was, without a doubt, romantic in every sense of the word. 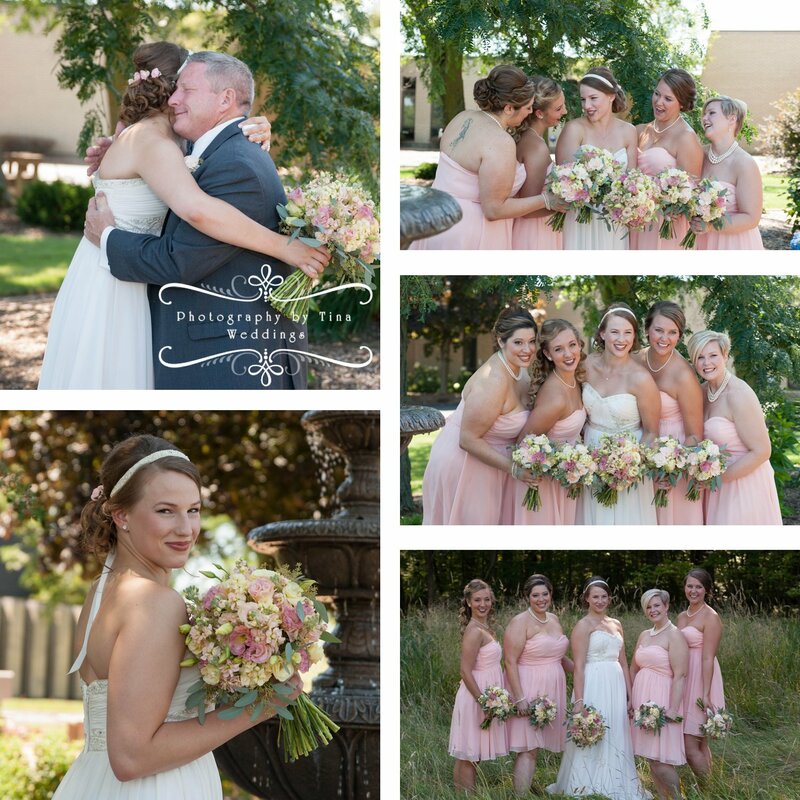 From the blush colored bridesmaid dresses to the beautiful blush on the bride's glowing face. From the heart cut from Emily's late grandfather's shirt stitched onto her wedding dress . 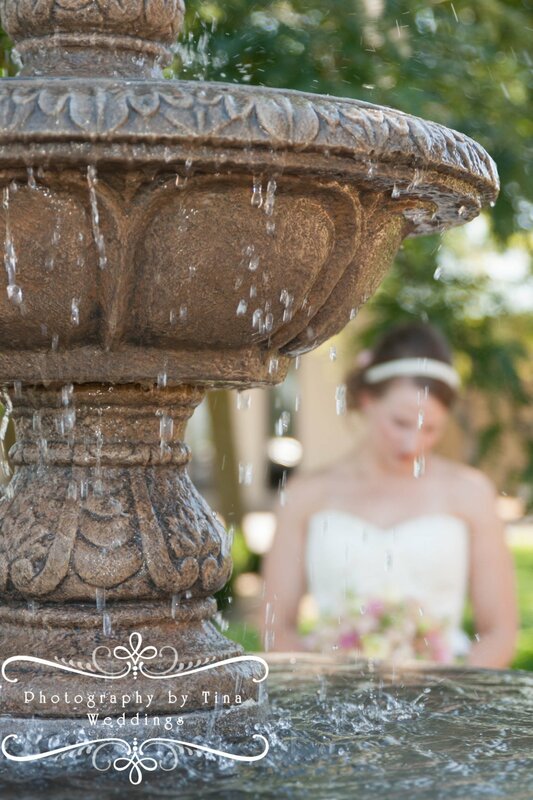 . . to the dreamy fountain in the garden outside the church. From the love evident on the father of the bride's face as he saw his daughter in her wedding gown for the first time to the tears in both their eyes. 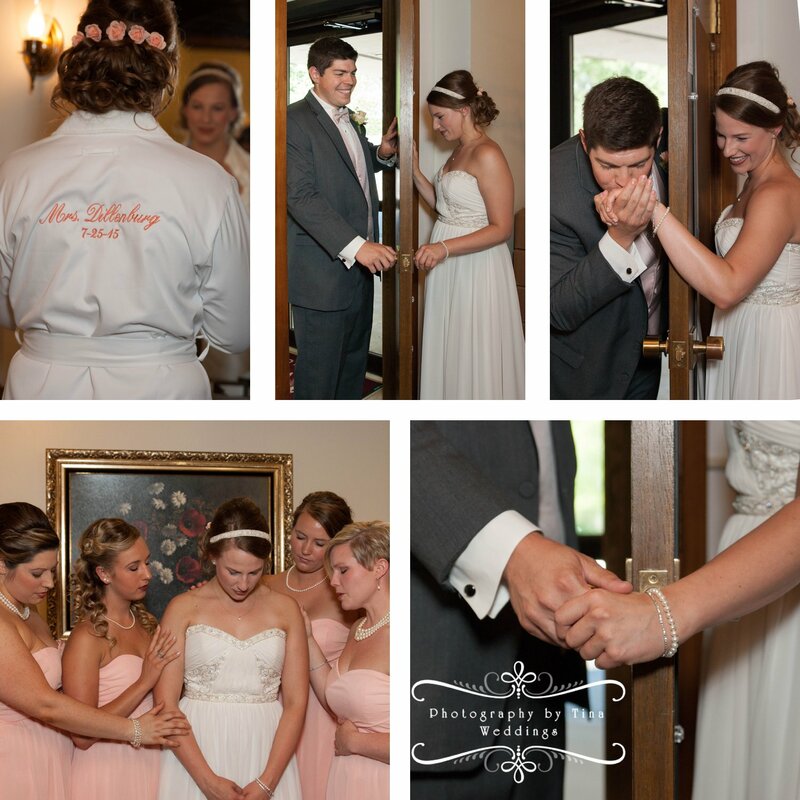 From the moment before the ceremony when Emily & Andrew held hands and shared a few loving words before the big moment, separately only by a door so they wouldn't see each other before she walked down the aisle, . 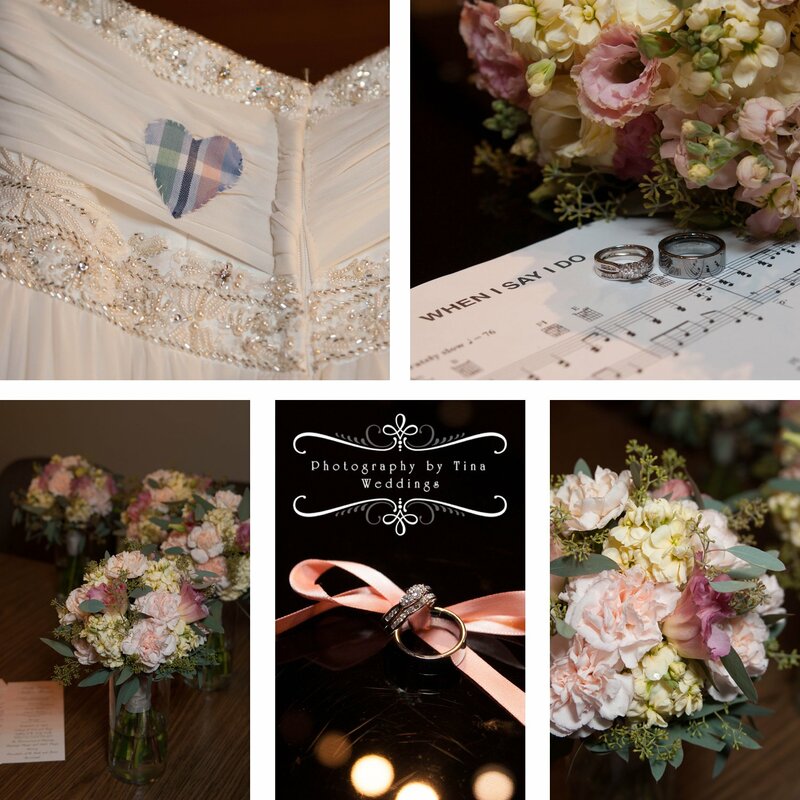 . . all the way up to their first dance and beyond, romance was in the air! Every moment seemed magical. It truly was a photographer's dream-come-true! If I had possessed pockets full of pixie dust, this wedding would have seemed the appropriate place to sprinkle it. But enough words! Let's look at some of the gorgeous images that tell the story far better than my narrative. A picture really is worth a thousand words! Special thanks to Laura Schmidt Hiller for asking me to second shoot this wedding with her. It was wonderful working with Laura, and what a perfect day this was!